Up All Day Creative Solutions specializes in conceptualizing and designing marketing and advertising materials such as postcards, invites, email blasts, logos, print ads, and billboards. Other services include branding, brand management, and photography. Specialized Productions Inc. focuses solely on the casino industry, providing Motion Graphics for Digital signage and offering consulting services for casinos that need guidance for the ever changing audio visual systems and working continuously to merge the two services for their clients. 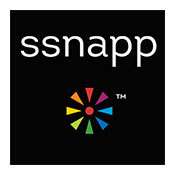 SSNAPP is an award winning Social Engagement and Loyalty platform developed by Social Media Gateways, Inc. SSNAPP is well positioned to deliver proven integrated technology solutions supporting the hospitality industry, leveraging the power of social media to make better business decisions, integrated into facility’s POS. 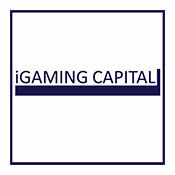 iGaming Capital is a Consultant in the online gaming sector. Developing strategies for companies who seek to enter the social and real money online gaming industry in the United States or other emerging markets. In addition, provides M&A advisory for companies in the online gaming sector. mobileStorm Technology is nothing new for casinos: Player Tracking Systems, POS systems, Hotel Systems, Kiosks, Cash Systems, Ticketing Systems, CRM, and a variety of other operational systems generate a goldmine of data. It's a big win for a casino to have a mobile communications provider that can integrate with these solutions and trigger messages in real time, while the player is in the right state of mind. Influencing player behavior is essential and can be accomplished through these types of integrations. H2M is a brand-focused creative advertising agency with a specialty of brand creation and enhancement for casinos and restaurants. H2M is known for it’s creative work that speaks smartly to customers and prospects to casino and restaurant target customer segments. It’s TV work is known for matching local flavor and values with production elements to engage customers on a playing field where they live, work and play. H2M’s media planning and buying services are best of class and greatly improve a brands awareness within its target markets. VizExplorer Super Graphics data visualization toolset enables users to understand and take action on their data in a new way. Users can see a multitude of data points simultaneously to understand patterns, identify meaningful relationships, and gain new insights which were not previously possible. The VizExplorer toolset is delivered by way of industry solutions such as gameViz™, telViz™, entertainmentViz™ to name a few.